Of all the cosmetic issues men and women face, hair loss by far is one of the most impactful and thus many seek hair loss treatments to alleviate the issue. Because a person’s hair grows in cycles, it is natural to shed about 50-100 hairs per day, but when you begin to notice that your hair is shedding faster than it is growing back, it may be time to seek the help of a hair loss clinic in Long Island. 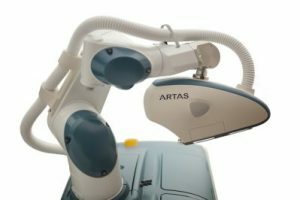 At Robotic Hair Restoration of Long Island, we are sensitive to how much hair loss can impact an individual’s life, so we provide advanced treatments to address a wide range of hair loss situations in men and women. Below, you can get a better understanding of the causes of hair loss and the psychological issues that may come along with thinning hair and baldness. Why Does An Individual Lose His or Her Hair? There are many reasons that an individual may suffer from hair loss and these reasons may be different for men and women. Some causes can be temporary while others may be permanent. Male/female pattern baldness is by far the most common cause of hair loss and is a hereditary condition that will cause hair thinning in a predictable pattern. For women, this may mean thinning hair across the whole scalp, and men will generally experience a receding hairline and bald spots in the back of the head. 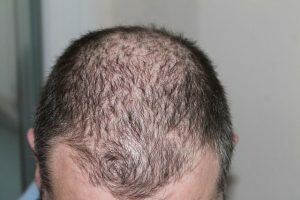 Other possible causes for hair loss may include vigorous styling techniques leading to traction alopecia, an impulse control disorder known as trichotillomania where one constantly plays with and pulls their hair. Identifying the cause of hair loss is important, because treatment options may differ if the underlying cause is treatable. How Much Hair Loss Per Day is Considered Normal? Most people have about 100,000 hairs on their heads. Normal shedding accounts for a loss of 100 to 125 hairs per day. This normal hair loss occurs because scalp hair grows in cycles, which include a growth stage of two to eight years, followed by a two-month dormant stage without any growth. The hair strand then falls out and a new one begins to grow. Normally, 80 to 90 percent of hair follicles are growing at any given time. The rest of them are resting or shedding. While hair loss is a very common problem for both men and women, it can still be a source of embarrassment and may cause low self-confidence. Hair loss also tends to affect men and women differently in terms of its emotional effects, but there are solutions that can reverse hair loss to minimize the psychological impact of pattern baldness. Below, you can get a closer look at the unique challenges men and women face when it comes to hair loss. Hair loss in women – A woman’s hair can be an important part of her femininity, so experiencing hair loss might bring about a good deal of stress and negative feelings. Because female pattern baldness causes hair to become thinner across the whole head, it may be difficult to maintain common women’s hairstyles without hair restoration treatment. Hair loss in men – Male pattern baldness can begin as early as puberty, and this condition will affect about two-thirds of men throughout their lifetimes. What is The Best Hair Loss Treatment? There is no one best hair loss treatment. Each treatment plan is custom tailored to the individual patient’s situation. There are surgical and non-surgical hair loss treatments. Surgical options may include a the ARTAS® hair transplant procedure while non-surgical options may include the use of medication such as finasteride or minoxidil, low-level laser therapy (LLLT), or injections of protein rich plasma (PRP). What is right for a particular patient may depend on their needs and expectations, the cause of their hair loss, what stage of hair loss they are at, and even underlying medical conditions. Hair transplant treatments tend to be the most successful in restoring hair volume with a natural-looking result. Today’s hair transplant procedures yield much more favorable results than hair plug procedures of the past, thanks to the advanced technologies of robotic follicular unit extraction. 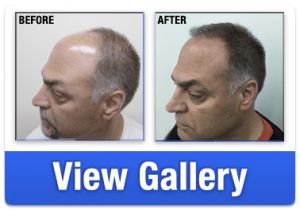 At Robotic Hair Restoration of Long Island, we are invested in the most sophisticated hair restoration treatment options to provide our clients with renewed confidence and naturally beautiful hair. That is the RHRLI Edge. Our office is located in Jericho NY and we provide our expertise to men and women all over Long Island, Nassau County, Suffolk, Manahattan, Queens and New York City. Please contact us at our office to schedule your hair loss consultation today.